Romantic vintage lace flower girl dress. 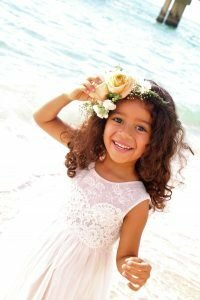 One of a kind vintage lace flower girl dresses, this is beautiful and unique gown by Sira D’ Pion a wedding dress designer located in Orlando Florida. This unique made to order collection is available in many sizes and color combination, as well as different fabrics options, silk, chiffon, satins and many others high quality fabrics. Perfect for destination & beach weddings. This delicate fresh soft dress is designed for a warm or hot climate featuring beautiful French lace in a delicate soft netting with a nice back V cut top. This dress matches the low back Chantilly lace wedding gown, a two tone mermaid style wedding gown and is an excellent choice for a destination wedding. Light weight confortable special occasion dress, fairy tale princess girl dress custom designs available in any color combinations. 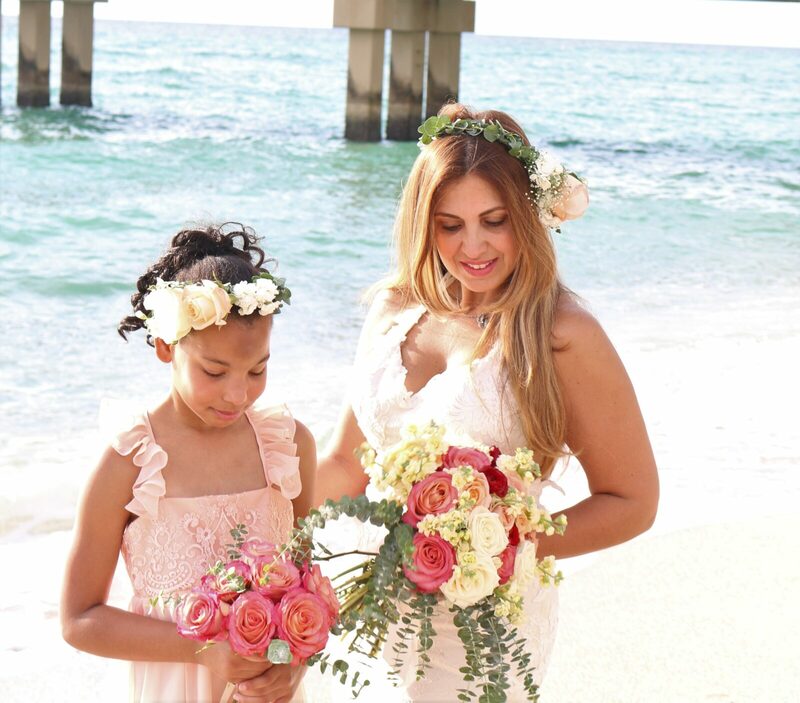 Professionally made in the State of Florida by the wedding dress designer Sira D’ Pion, with twenty five years of experience in the fashion industry. This flower girl dress collection includes very elegant chic couture dresses as well as country rustic style wedding, Boho weddings style and the romantic tradition flower girl dress; all them matching perfectly with the bridal gown for any wedding theme. Fairy tales wedding, princess wedding dresses, vintage style, Bohemian dress style, country style wedding gowns. Custom matching veils and accessories available at the store, one of kind hand made headpieces with the matching bridal gown sash made with the highest quality stones, crystals and rhinestones. silk flowers, hand beaded Chantilly French lace headbands and more. For information please give us a call at (407) 930-7472. Wedding dresses, Mother of the brides and more.